In football it is important to be properly protected all over your body, especially in the most vulnerable areas of your body like your ribs. 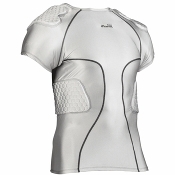 Football rib protectors come in many different forms such as integrated rib protector compression shirts, rib guards, flac jackets and rib vests. 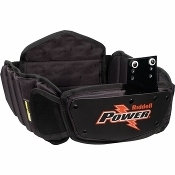 Rib guards are most often used by quarterbacks, running backs and receivers but also have been used for linemen and linebackers for added protection. Integrated rib shirts come in compression style shirts with moisture wicking fabrics and integrated pads in strategically placed areas to allow for excellent protection and maximum mobility. Rib shirts are most popular among skill players such as wide receivers, running backs, defensive backs and linebackers. Rib guards come with a high impact plastic shell wrapped around a high quality foam and are also available with out plastic. 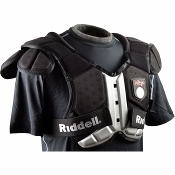 We offer Douglas, Xenith and Schutt Rib guards that can be attached to shoulder pads or not. Traditional rib guards are most popular among quarterbacks. A rib vest is worn as a standard vest beneath your shoulder pads with strategically placed bads to protect your ribs and core area. 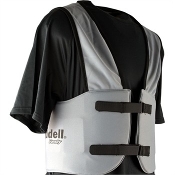 Rib vests can be worn from youth through adult football and are great for linemen and skills players to provide protection and great mobility. 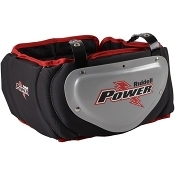 No matter what kind of rib protection you need, Endzone Sports has it to keep you protected when you take the gridiron for practice or gameday.